Right, it only accepts the default ulong RowVersion. 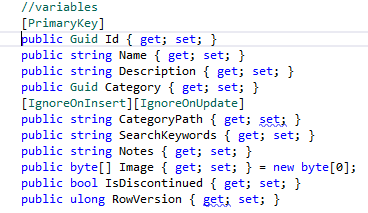 You can use OrmLiteUtils.ConvertToULong() to convert a byte RowVersion to ulong. That's what OrmLite uses to convert RowVersion byte to ulong internally. Why are you using byte instead of ulong? Where did you get the byte value from? I tried using ulong all along and I have no problem using it, but I get same error as on the picture. RowVersion variables comes from database when i do select. 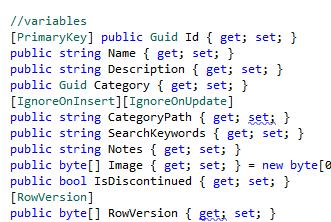 You don't need the [RowVersion] attribute, the ulong RowVersion definition infers its for RowVersion. This issue should be now be resolved from this commit. This change is available from v5.1.1 that's now available on MyGet.